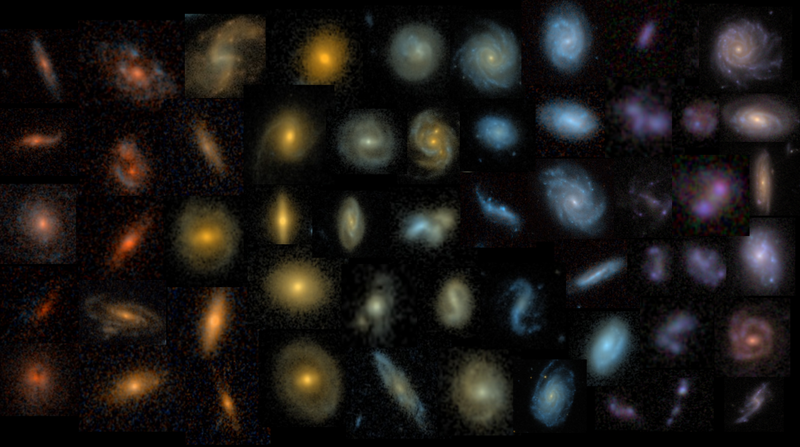 This beautiful collage of spiral galaxy images from Galaxy Zoo was put together by Mel Galloway, a researcher on the team based at the University of Minnesota. The colour of a galaxy can tell us a lot, from how old the stars are, to how distant the galaxy is. However, this image isn’t really significantly scientific – it just looks great! See what colours you can spot today at www.galaxyzoo.org.